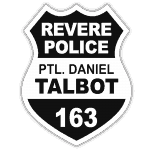 On September 29th, the men and women of the Revere Police Department ran a charity event to honor the life and service of their brother officer Dan Talbot who was killed in September of 2007. They raised and donated $30,000 to our charity – a legacy we are sure Dan Talbot would be proud of. 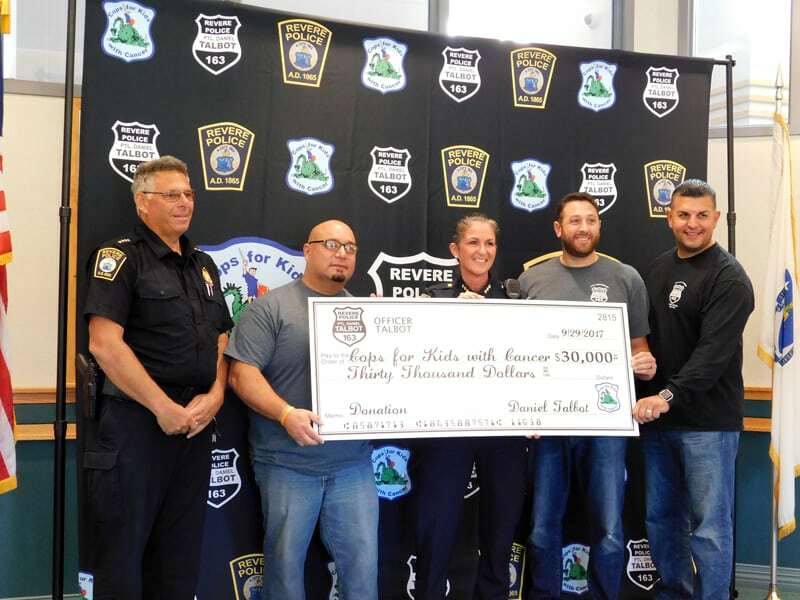 Hats off to Revere PD and thanks so much for all the time and effort you gave to help children battling this disease! Pictured from Left to Right: Chief James Guido, Officer William Soto, Cops for Kids With Cancer President Helena Rafferty, Detective Dave Caramanica and Sergeant Joe Internicola.